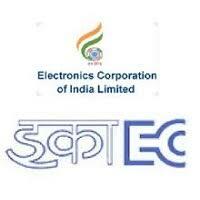 Electronics Corporation of India Limited is a Government of India Enterprise under the Department of Atomic Energy, established on April 11, 1967 by A. S. Rao at Hyderabad, to create a strong indigenous base in electronics. Applicants who have completed Diploma / ITI or equivalent from a recognized Institute for ECIL Recruitment 2018. Eligible & Interested candidates can Download Notification From Official website page at www.ecil.co.in Recruitment 2018. Ecil Zonal Office, 1207, Veer Savarkar Marg, Dadar (Prabhadevi), Mumbai-500 028.